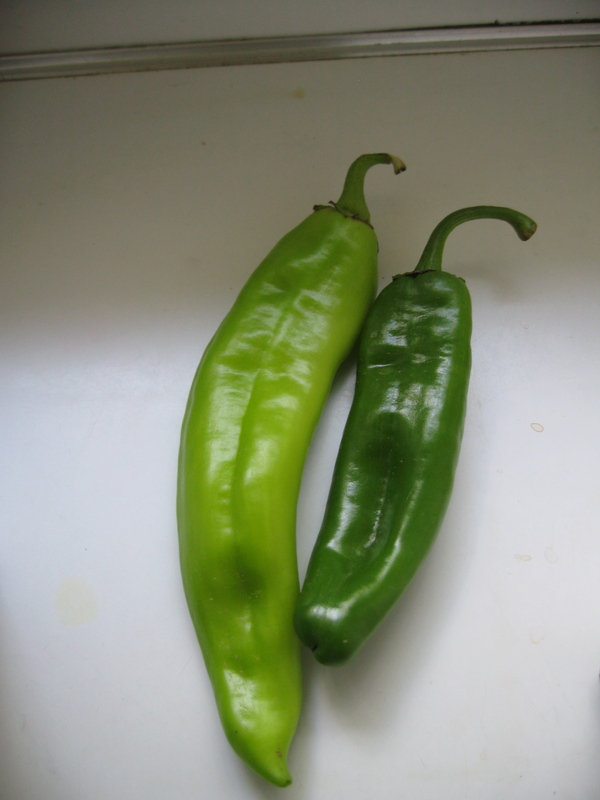 Sunday Brunch Celebrates the Hatch Green Chile! 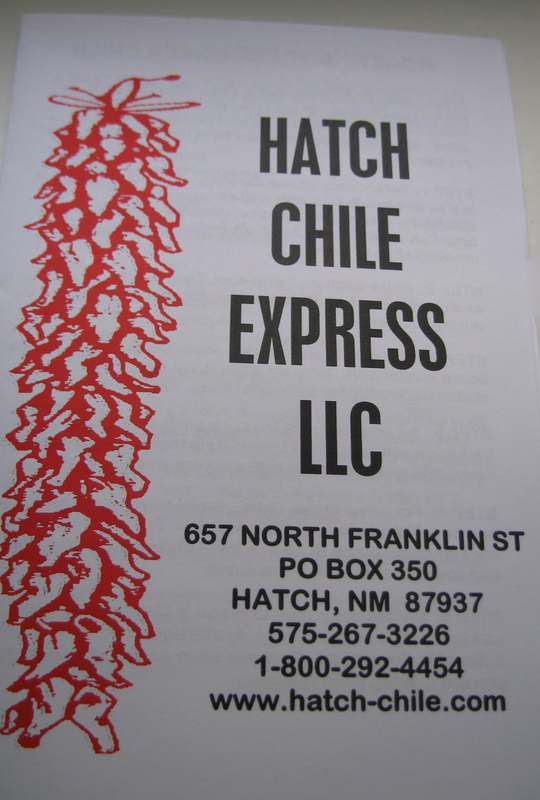 This Sunday we will feature the the most seasonal of chiles the Hatch Green Chile. In a couple weeks these fragrant, delicious green chiles will ripen to red chiles to be dried for great dishes of there own. This month in which they are still green gives us a whole other flavor to enjoy; slightly sweet and full with varying heat depending on the variety. We have some Big Jim’s (the chile on the left up there) and NM 6-4 ( the one on the right). Big Jim’s have a medium heat and the 6-4 are mild. 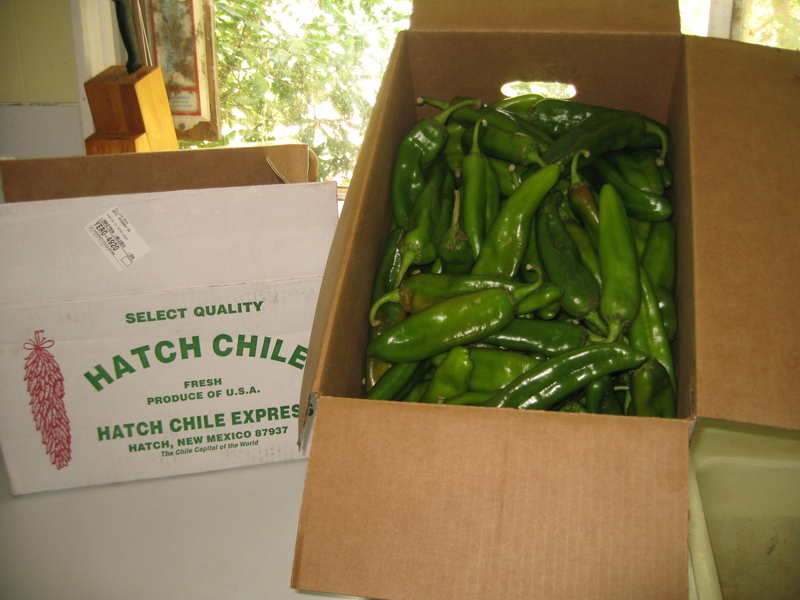 These arrived today straight from farmer Jimmy Lytle at Hatch Chile Express. These chiles we in the field Wednesday morning and here in Austin by Friday. I’ll begin roasting right away. Once these are all roasted they will be ready for this week’s brunch! Check out these featured items. Hope to see you this Sunday 11-2 or till we run out!